Introducing a new bar and lounge experience in the fabulous city of Hong Kong,in the famous Lan Kwai Fong. 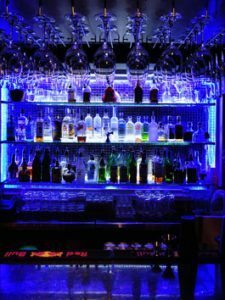 The concept behind this bar and lounge to combine amazing cocktails, exceptional service and the latest lounge and some of the best hits off all times ranging from R&B, Hip-Hop to good old classics. The lounge atmosphere is calm and also accompanies an engaging corner balcony for a little alfresco mingling and cocktail sipping. Looking down on the bustling streets of Lan Kwai Fong giving you one of the best street views in the comfort of your serenity – perfect for intimate gatherings, informal meetings, birthday parties or even hen nights. Step in for a sip during Happy Hour from 6pm to 10pm on Monday to Saturday. After 10pm, Otto’s team turns up the volume and the dance floor comes alive as people move from mingling to dancing and all night partying, whilst the DJ’s take over on the weekends. Come in for the surprises. Otto Lounge also has been grown from strength to strength by hosting profile corporate events, after wedding parties, live gigs, clubbing events and private parties. There’s always something happening at Otto Lounge. Inside area and outdoor balcony with designated smoking area can accommodate up to 70 guests. Want your private party venue to have a particular theme? It’s no problem at Otto lounge! You are free to decorate the venue to suit the theme of your party. Its the ideal space for birthdays, after wedding parties , work functions, Christmas parties, album launches and more. Our Event coordinator and friendly team know how to make the space work perfectly for your event. So, grab a piece of the Otto atmosphere for a unique meeting or party experience.